The Institute was awarded the First Prize for doing maximum writing work in Hindi for the year 2011- 12 under the ICAR ‘Rajrishi Tandon Rajbhasa Puraskar Yojna’ and Second Prize for Institute’s Annual Rajbhasa Patrika ‘Pusa Surbhi’ under ‘Ganesh Shankar Vidhyarathi Hindi Krishi Patrika Puraskar Yojna’ of ICAR for the year 2011-12 during the Director’s Conference organized on March 19, 2013. 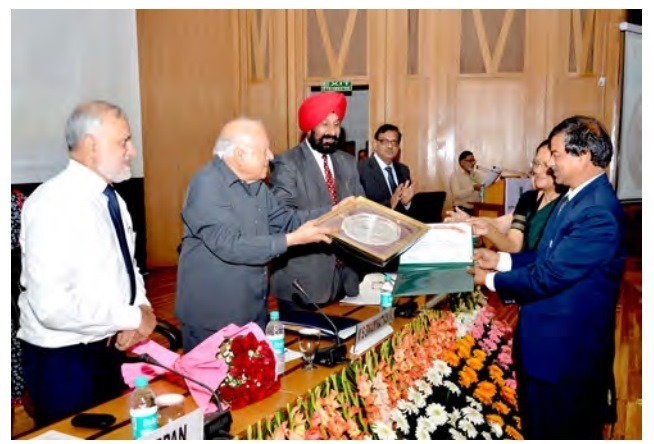 The Indian Agricultural Research Institute won the Sardar Patel Outstanding ICAR Institution Award for the year 2010 (jointly with TNAU, Coimbatore) for outstanding contribution in the field of agricultural research, education and extension. 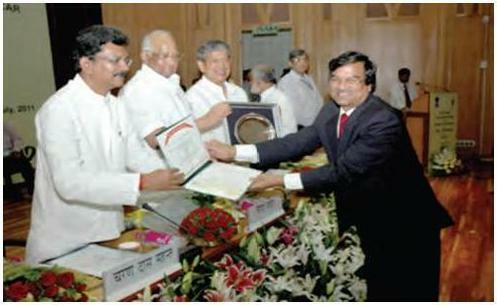 Indian Agricultural Research Institute was conferred the Environment Leadership Award of ‘Agriculture Today, 2011’ for its pioneering work on development of sustainable agriculture, protection of environment, mitigation and adaptation to climate change and environmental policy planning for the benefit of farming community. The Indian Agricultural Research Institute received Quality Management System Standard Certificate, NS-EN ISO 9001: 2008 / ISO 9001:2008 of KVQA for providing education, research and training in the field of agriculture. 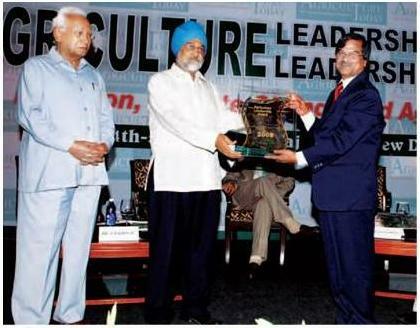 The Institute was given the Agriculture Leadership Award 2009 by a national agriculture magazine, "Agriculture Today" for helping the country attain and maintain self-sufficiency in food grains and for improving the economic conditions of Indian farmers. The Institute received the Best Annual Report Award 2008-2009 of ICAR in the category of big institutes. The Institute’s Krishi Vigyan Kendra at Shikohpur was given the ICAR Best KVK Award.